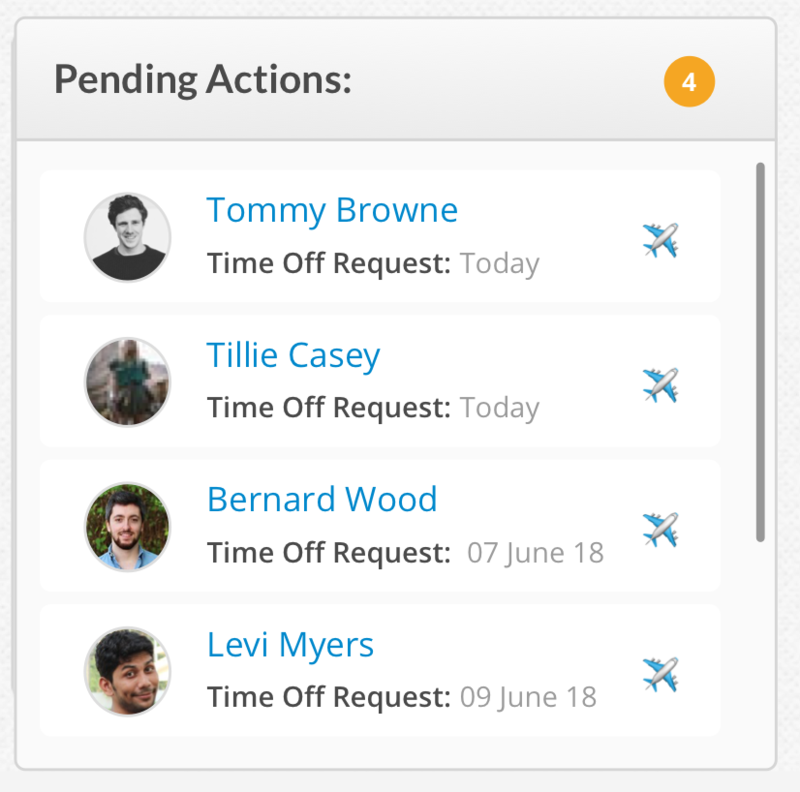 If you have any pending time off requests, you will see this widget on your dashboard, making sure you never miss or forget about a request! In an employees profile on the "Time Off" tab there is a yellow notification number if an employee has requested time off. 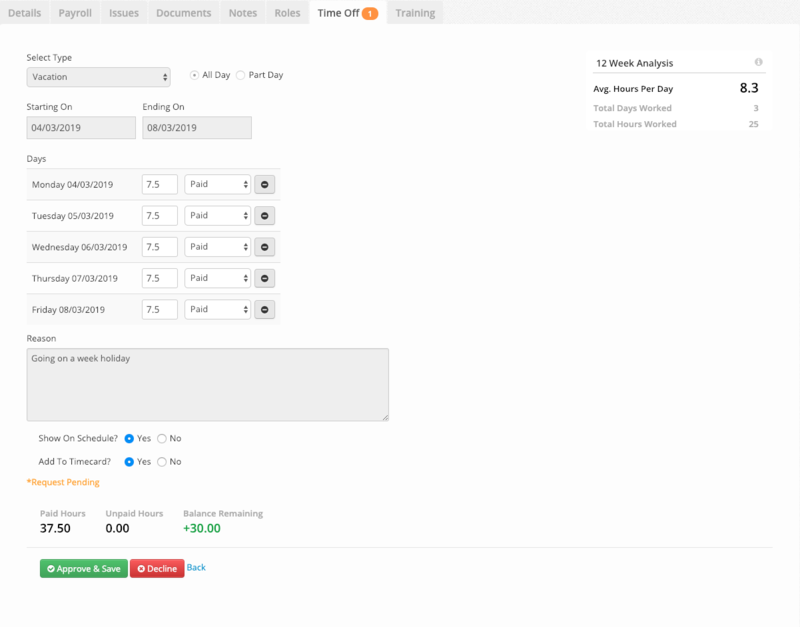 Once you click within the "Time Off" section, there will be a records section and a requests section. It is within the request section that you can see the employees' request for time off. A new request will have the status of pending. Once you select this request you can view the details of the request and then decide to approve or decline the request. Once a request has been approved a request, it will generate a duplicate record that can be edited, while the original request will remain under the requests tab.